The Family Smoking Prevention and Tobacco Control Act (The Tobacco Control Act) was a historic measure for America and serves as a role model for the rest of the world. Up until this ground-breaking legislation was signed into law on June 22, 2009, by President Barack Obama, tobacco companies had operated completely outside of any regulatory oversight by the United States government. That is no longer the case. Today, the U.S. Food and Drug Administration (FDA) oversees U.S. tobacco companies in all aspects of manufacture, sale, and promotion of their products. While the FDA cannot ban tobacco entirely, their involvement does help to protect the public in a number of ways. There are five key facets that serve as the foundation for the Tobacco Control Act. They are detailed below. Written into law are the following provisions that are meant to shield youth under the age of 18 from exposure to tobacco products and advertising. Tobacco manufacturers cannot sponsor sporting, entertainment or other social/cultural events. Tobacco manufacturers cannot offer free tobacco products or non-tobacco product brand name items as giveaways. Cigarettes cannot be sold in vending machines unless they are in adult-only facilities. Sales to minors are not allowed. 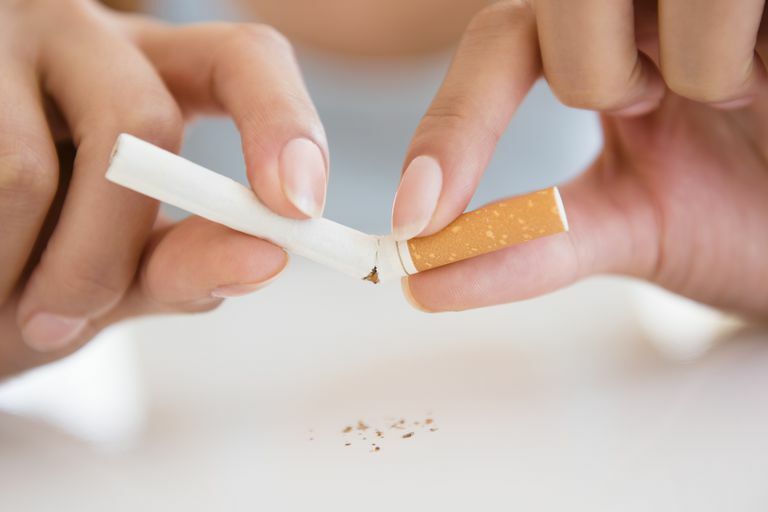 The Tobacco Control Act gives the U.S. Food and Drug Administration authority to take additional measures in the future to protect public health if necessary. In an effort to raise awareness that the health risks of tobacco use include smokeless tobacco products, (snuff, snus, chew, dip) the Tobacco Control Act requires manufacturers to post one of the following warnings on commercial smokeless tobacco packaging. The message must cover at least 30 percent of the package. Smokeless tobacco products are used primarily by men. Statistics for 2014 showed that for adults over 18, 7 in 100 men used smokeless products, while less than 1 per 100 women used it. Overall average usage for U.S. adults is 3 in 100*. Statistics for 2015 show that 6 percent of high school kids* (10 percent male, 1.8 percent female) are current users of smokeless tobacco. *Overall averages include percentages men, women, White non-Hispanic, Black-non-Hispanic and Hispanic users. In other words, if a tobacco company wants to claim, for instance, that "light cigarettes" are better for your health, the FDA requires them to back it up with scientific proof. If a tobacco company develops a new product that they feel will reduce the risks of smoking-related health disease for consumers, they must now submit a modified risk tobacco product (MRTP) form to the FDA for review. According to section 911 of the Federal Food, Drug and Cosmetic (FD&C) Act, as amended by the Tobacco Control Act, the FDA will require companies to show, among other things, that the MRTP they wish to produce and market is expected benefit the population as a whole (smokers and non-smokers alike). A tall order for a tobacco product to live up to, to say the least. However, without the FDA's approval, the product will not go to market - at least not as a MRTP. While there is no such thing as a safe tobacco product, there are some that are more hazardous than others. The MRTP process will allow products that offer less risk a way to market, while protecting the public from potentially misleading claims by tobacco companies, as has happened in the past. To date, the FDA has not authorized the sale of a MRTP, so it's not yet clear what level of risk reduction is acceptable. By the way, the term "light" is no longer permitted in reference to cigarettes, because it has been shown that they contain just as many dangerous toxins as regular cigarettes. Not only must they share the ingredients, they must also report exact quantities and "recipes" of each individual tobacco product that is made under that company's umbrella of products. And, if the recipe is changed, the manufacturer must report the specifics of the alteration. While some of the ingredients used in commercially made cigarettes can seem relatively benign and are even approved by the FDA to be used in food, it is important to note that they were not meant to be heated and/or burned, which can change their characteristics, making some of them toxic. They also combine with one another, creating new chemical compounds that are harmful as well. Science has uncovered upwards of 7000 different chemicals in cigarette smoke, including 250 poisonous and 70 cancer-causing chemical compounds. Research continues. This means that state and local authorities still have the ability to put tobacco control actions in place at a local level, such as raising tobacco taxes, enacting smoke-free workplace laws, banning tobacco sales, and offering state-sponsored smoking cessation programs. Tobacco companies must register annually with the FDA and open their production plants to the FDA for inspection every two years. The FDA has banned any flavoring of tobacco other than menthol and regular tobacco flavor. The FDA has the authority to regulate nicotine and ingredient levels in tobacco products. The FDA funds the regulation of tobacco products through fees charged to tobacco companies. Fees are determined by their U.S. market share. The law that gives the FDA the power to regulate tobacco products for the good of the American people also places a few restrictions on what the organization cannot do. The FDA cannot require people to get a doctor's prescription to buy tobacco products. The FDA cannot require tobacco companies to reduce nicotine levels in tobacco products to a level of zero. The FDA cannot ban face-to-face sales in a particular category of retail stores. The FDA cannot ban certain classes of tobacco products. The Tobacco Control Act is an important shift in how the United States is managing the tobacco epidemic that is sweeping the country and the world. It is a work in progress, but the key points in how this legislation works to protect Americans from manipulation by tobacco giants and tobacco-related disease and death is a solid start. If you're a smoker who is ready to quit, use these quit smoking lessons as a starting point. When you know what you're facing with smoking cessation, quitting becomes a goal that you'll soon see as achievable. Centers for Disease Control and Prevention. Smokeless Tobacco Use in the United States. U.S. Food and Drug Administration. Tobacco Control Act. U.S. Food and Drug Administration. Less Risky Tobacco Product? Only if Science Says So. U.S. Food and Drug Administration. Modified Risk Tobacco Products. U.S. Food and Drug Administration. The Facts on the FDA's New Tobacco Rule.